Taylor Chapman is a graduating senior at the historic Central State University, majoring in broadcast media. 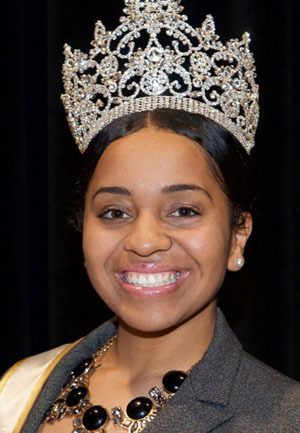 Preparatory to serving as The 71st Ms. Central State University Taylor served as a Resident Advisor for freshman students during her sophomore and junior year. She also served as the Student Government Association Vice president for the academic year of 2017-2018. Taylor is a native of Indianapolis, Indiana, where she earned her high school diploma from Pike High School. Taylor enjoys mentoring young ladies and bringing unity within the students on campus. Upon graduating from Central State University Taylor will enroll in graduate school to pursue her master’s in Public Relations.